For a couple of days Davido has been teasing a major announcement of social media especially on his Snapchat and Twitter. ON THE WAY TO NEW YORK!! BIG ANNOUNCEMENT TOMOROW!!!!! ??? MY LIFE BOUTTA CHANGE!! The announcement has been made and the 23-year-old star has just signed a lucrative deal with Sony BMG Music for a whooping $1 Million. While the details of the deal haven’t been revealed yet, it is definitely a feat worth celebrating. 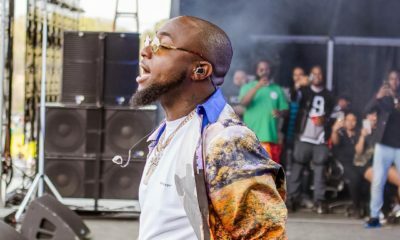 Davido make Africa proud by making meaningful music. Africa is beyond booty shaking, and having rubbish senseless lyrics. Make songs, videos that truly represent the core of Africa. Not singing about “African princess”, but the girl in the video is white. Majority of African/Nigerian women are dark, brown in complexion. Work on your stage performance. Why can’t talented artists like Bez, Asa, Timi dakolo get Sony deal? I guess, they go with the noisy popularity. Love, respect, and good luck. Wow I’m so happy for him ..
1 million dollar advance right? Over how many years? Lol. You have just become a slave to the American recording industry. Those jews don’t play with their money. Go and ask Michael Jackson’s family members. Congratulations. Ah! Mama Imade, would now not be the time to retract your statement about not wanting to marry Davido? The pepper wey rest before don increase well well and you gat a child for him so biko get your share o. @ Timaya lmao!!! God bless U.. Well it’s d same BN that will inform us when it all start having ishy(ness) smh.. Y’all know his dude don’t think straight sometimes. All d same, goodluck to him. Lol. Even Prince had to change his goddamm name. That 1 million dollar contract is a liability on his part and he has to fulfill the terms and conditions of the contract. All recording artists with the exception of Prince and maybe Rihanna (cos she has left Def Jam and roc nation only manages her right now) are slaves to their record labels. This is how it works; if the album/song sells records label recoups their investment first, songwriter gets paid, producer gets paid, manager gets paid about 5% or more of your gross income and finally the artists gets paid. Wait there is more! The almighty IRS takes their share. You think artists make money from touring? Not really. There is a high chance that you wont break even with all the costs and all. I hear you. The way forward tho’ ? I love the Bella follow-up article with advice to Davido, but I think he needs more. He needs a trustworthy management, I think he should have a good meeting with his dad. You know Beyonce of the stupido musical taste , why is she a big deal, because she kept it all together and it seems also kept a lot of her money. Many people with actual talent , great talent, couldn’t do that. David can borrow a leaf from her. stop frolicking with hoes from country to country, smoking, drinking etc throwing money on people or showing on instagram and all that stuff.His immature ways are a turn off although those dimples are just gorg. If you raise your self i guess thats what happens. No discipline. Look at Korede for instance you can tell he had a decent home upbringing. With all due respect, am not a fan of Davido but you don’t need to rain all the insult on him. The fact that korede as better values does not make him a better person. It takes God’s grace for a young boy to keep cool with all the money at his disposal, and to drop all these vices is not easy they become addicted. So please don’t judge like that. Funny how you judge people it doesn’t tell well on your upbringing ,didn’t mama teach you to keep your mouth shut if you had nothing good to say .its something to celebrate about not give advice with the intention to spite the young man,@ his age look @ [email protected] he has achieved …Thank God with him. If you think Davido is by any measure a good role model than yo mama and sophia have much in common. Didn’t your mama teach you that everyone is entitled to their opinion. Abi Na only turn the other cheek, offer the other orifice she teach you. SMH. You so dumb you think you are the only one that can bring mama into this. What has Davido achieved please list his accomplishments. Nonsense mama teach you to loose your knickers and bend over and wordship whenever you see small change. 360 deal. Good luck to him because in a few years he will be like Mase and be chasing the bosses to please release him from his dead contract. All he knows is money. He has just signed his life away. There’s a reason why most artists are going independent these days. Now they’ve seen the African music industry is booming and they want a piece *roll eyes*. Is it just me or among all these mainstream artists Davido sings the most meaningful songs. Forget that onw with meek mill and Olamide. I mean listen to the lyrics of Dodo, aye, ekuro and a few others. All nice, well written song. I appreciate his talent. Keep thriving. Not hating oh .Wetin consine me. I dont *kukuma* listen to this crop of 9ja artist. But if na d same tongue hanging out, pants sagging low, several chain wearing, miming at concert, incoherent stage bouncing, receipt to my sneakers displaying, ova d top hyped davido…. Den d endorsement CANNOT be about talent. Talent or no talent…..he chop endorsement….and of which he is extraliciously talented- pls listen to aye and ekuro…and the guy can dance for africa…and I like the way he squeezes hs lips when he sings. Love your sarcastic comment made me LOL. then I shared your joke with my raving friends now we LOAO. You so wicked after your “extraliously talented” you could have put “NOT” so People could catch your joke. You so wicked hehehehehehahaha????? It’s called an investment for a reason. When you work at somewhere like Mobil and they pay you N2m/month, they work you like they are paying you $2m/month. That’s how work works. We love dissing Nigerian music lyrics but we fail to realise that we have created our own sound in the midst of rubbish. All the “lalalalalelele” is our thing unique to our music. But we only think of “quality” lyrics as singing one type of song. Michael Buble and Seth McFarlane sing “quality” lyrics, but guess who has three songs on the Hot 100 including #1? Justin Bieber. It’s obviously a huge deal to him so congratulate and move on. Am happy for you man, be wiser now. I think its more of hard work and the Grace of God that can take you higher and higher. $1M only????!!! I’m guessing Sony Music hasn’t seen his legendary freestyle yet. ‘ MTN dey endorse me I’m yellow yellow, money hello hello eh hello hello eh eh, I say hello hello eh, una be smellos smellos eh” Now that’s dope. 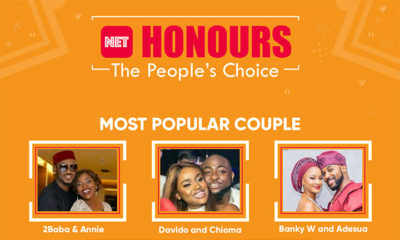 Really, I genuinely love Davido’s works so yeah Congrats Davido!! Congrats!! Dont spend it at bear bear bank. Also, please I hope you read the fine print because oyibo people na there dem dey buy person grand and great grand children talent for 1 kobo. He should stop lying to us. He’s not even the first Nigerian to sign with Sony not to talk of first African. Nneka Egbuna signed with Sony. Loick Essien was with Sony Music from 2007-2013. A handful of South African artistes have also been on Sony label; Locnville (Andrew and Brian Chaplin), Louise Carver was on Sony-BMG label,so were AKA (Kiernan Jarryd Forbes), Toya Delazy and DJ Bullet. If you have signed with Sony Entertainment, it’s excellent news on its own but don’t make a fraudulent claim. Please what will davido sing abeg.. so they could not sign asa, nneka or even king sunny ade.. I hope it turns out just fine… He better just get enough upcoming artists to buy songs from . Congrats!!!!!! I rejoice with you. Osinachi!! Okwa Chi na enye. Sony music signs up loads of foreign artist a list of them is on Wikipedia just type sony signed artist. The fact that he is signed to sony doesn’t mean they are about to market him to American hell to the fat NO. Why take the trouble of doing that when they can expliot the market Davido ALREADY has in Africa. They dont even need to market him. Davidos done all the work. In my opinion Davido could have made that money himself without having to sign up. All he has done is collected money upfront. Now sony are entitled to a Big Fat commission of everything he earns. Davidos just got into bed with the mother of all HOES. God luck to him on this sophiegate. Oh tilda, your comment is the real deal.!!!! Davido stop fing lying. Did sony not sign up Dbanj , now them don yeye him music turn am into jungle beats Mtchewwww. OMG are you the little lamb that keeps stalking Mary on” all these blogs.” . Weirdo. How can you tell people to shutup when they typing. Keyboard bandit. Read This Davido is a lying simpleton same like yourself. Congrats David’s on the signing but I seriously doubt that Sony gave you 1 million dollars in cash. Pls respect our intelligence small. Too endowed Davido am very proud and happy with you despite the fact what ignorance people are saying. Davido Adedeji I really love you. 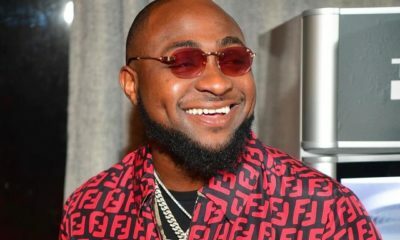 Sign life or no life…he has done something that other strive to do…all dis bad comment is only a bad belle…keep up ur good work man…if sony likes dump him he gat talent to come back…#iamdavido. i don’t. have. much to say, jst go ask frm ur past successor in Sony’s deal lyk micheal (mj) and prince they will sit u down and say a lot to you.